Just in time for the centennial of the sinking of the Titanic, this graphic deluxe edition compiles first hand accounts, testimonies, and letters by notable Titanic survivors, including Archibald Gracie, Lawrence Beesley, Elizabeth W. Shutes, and the "unsinkable" Molly Brown. Full of historically accurate details and an afterword by the grandson of Lawrence Beesley, Titanic Survivors and author of The Loss of the S.S. Titanic, it will be the gift to give die-hard Titanic buffs. 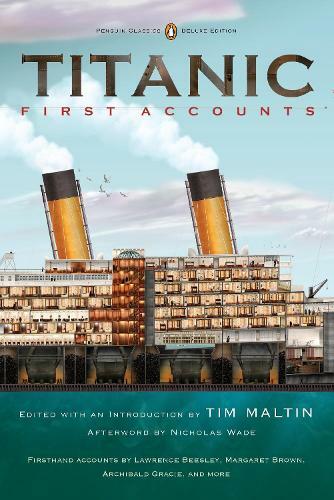 Authoritative, commemorative and in a striking, luxurious package with and introduction by Titanic enthusiast and expert, Tim Maltin, this will be the authoritative work on the disaster.